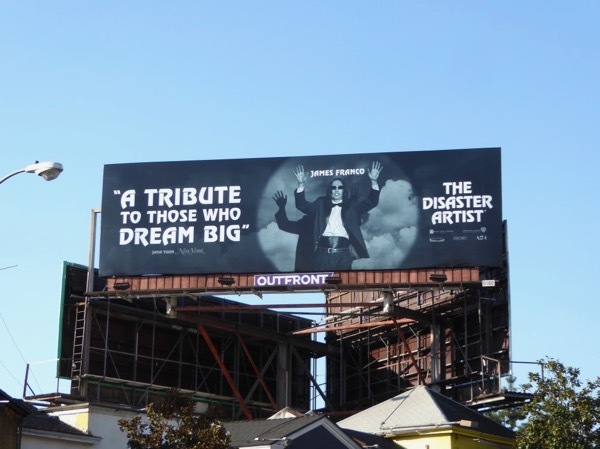 Based on Greg Sestero and Tom Bissell's 2013 book of the same name, The Disaster Artist stars James Franco as the mysterious and weird 'Tommy Wiseau' and Dave Franco as the aspiring actor 'Greg Sestero', the actors behind The Room, named one of the worst movies of all time that enjoyed cult status after its release in 2003. 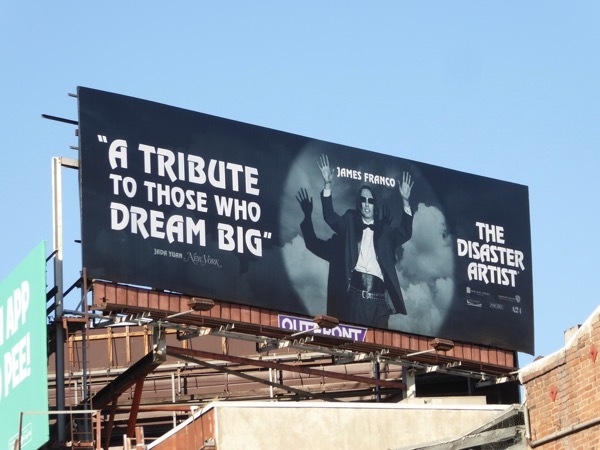 The film, also directed by James Franco, tells the story of how the friends met and their journey to Hollywood to make their dreams come true. 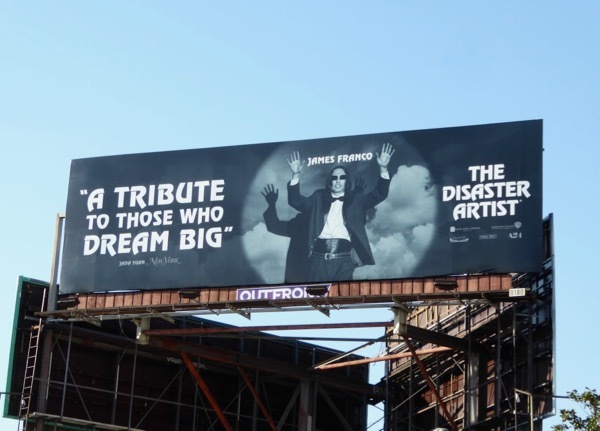 The 'RSVP' theatrical release billboard for the movie was first snapped along Highland Avenue on November 1, then 'triumph' awards consideration billboard was spotted above Highland Avenue on December and then the 'dream big' billboard was captured above the Sunset Strip on December 19, 2017. Fans of the movie can also check out these costumes from The Disaster Artist on display. 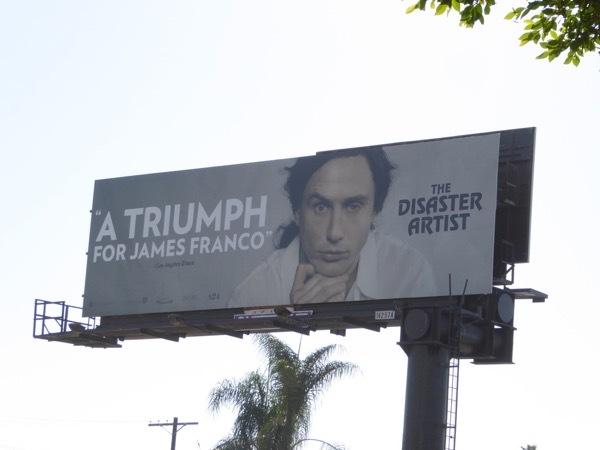 Admirers of James Franco can also enjoy these Comedy Central Roast billboards, these Gucci fashion and fragrance billboards, these movie billboards for The Interview and these Why Him? 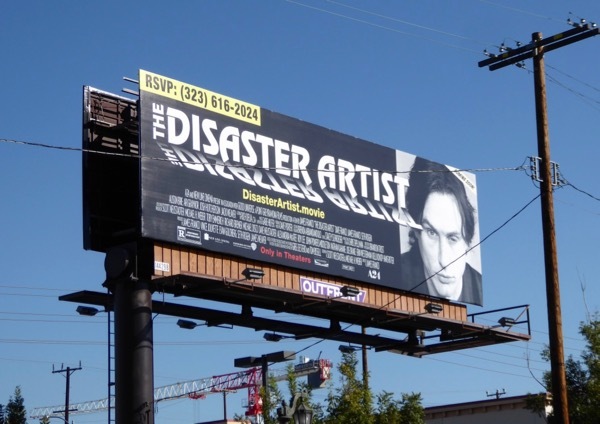 movie billboards, to name but a few. This movie role may not prove to be such a disaster after all this awards season and maybe the actor will not only be nominated for another Academy Award, but maybe he'll be taking the Oscar home this time around. In these trying times, continue to dream big and hope for a brighter future.